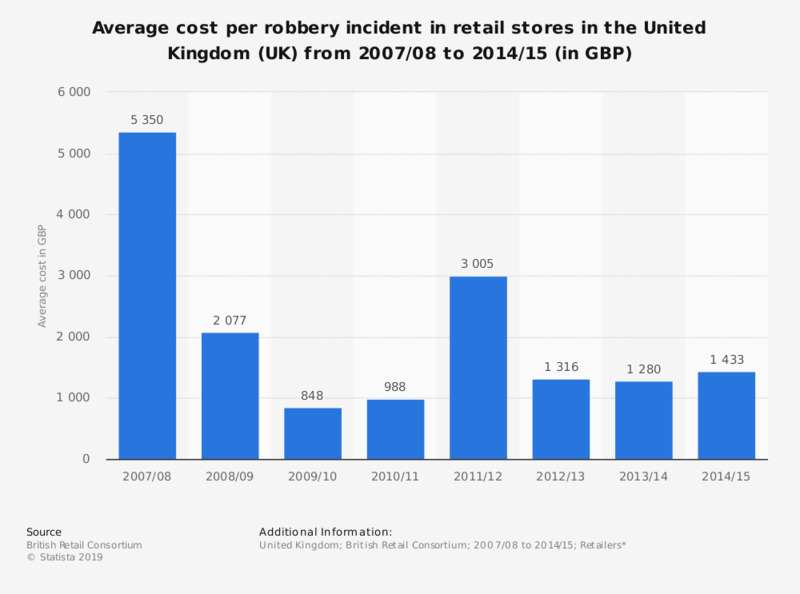 This statistic shows the cost per robbery incident in retail stores in the United Kingdom from 2007/08 to 2014/15 . According to the survey, the average cost per robbery to retailers in 2011/12 amounted to over 3 thousand British pounds. This has since fallen to 1,280 British pounds in 2013/14.